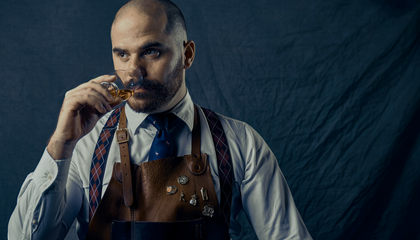 Paul Martin, award-winning mixologist and prolific trainer of bartenders and hospitality professionals, reveals his top tips to kick your career up a notch, no matter what level you are in the industry. 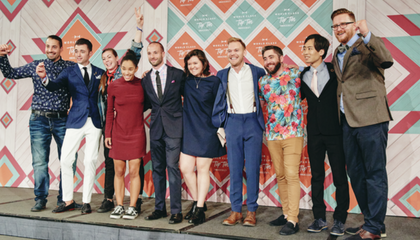 Throughout my time in the cocktail industry, I have been delighted to witness a remarkable evolution in the role as a whole. When I first began back in the mid-1980s, the suggestion that bartending was a ‘career’ was a stretch for most people. However, the change in perception and opportunity that has occurred over the last three decades puts the current crop of professional bartenders on a par with another creative hospitality professional… the chef! So, with opportunities for career development greater than they have ever been, along comes a much greater expectation from potential employers in regard to the skills and aptitude of those they are employing. In short, to succeed in a profession you must in turn become a highly skilled professional. With that in mind, here are some of my suggestions for maximising your career and making yourself irresistible in the eyes of potential employers. When starting out, keep an open mind about your potential career path. There is so much more to a great bartending career than simply mixing and serving drinks, and one of the biggest barriers to career progression can be an inability to see past this single facet of the job. After all, this is why the 1980s attitude existed in the first place! Expose yourself to as many diverse experiences as possible – Work in different bars, clubs, hotels, etc. with varied cultural service styles, different areas of expertise and colleagues of various skill and experience levels. By doing so, you will rapidly increase your knowledge, experience and versatility. Embrace a learning mindset and seek opportunities to develop your craft all the time – In the early days of a career, almost every interaction and action provides an opportunity to learn, so make sure you take advantage. Show passion and enthusiasm – Your attitude is far more important to a potential employer than your skillset. Skills can be taught, whereas attitude, on the whole, can’t be. I have interviewed countless highly-skilled bartenders and servers whose attitude lost them the job. Some of my favourite hires have been those with relatively little skill and experience but with an amazingly positive and ‘can-do’ attitude. 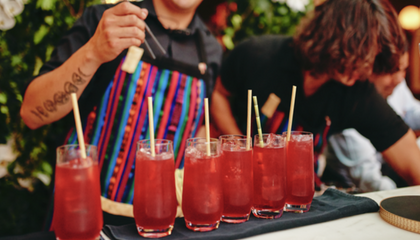 Mix with other hospitality professionals – Not just your colleagues, but people who work in other venues. One of the best ways to set yourself apart and maximise your appeal to employers is to expand your view of the industry by interacting with as many people as possible. Never stop learning – Mixing with people provides an exceptional opportunity for learning and development. No matter how much you think you know, there is always someone who knows something that you don’t. The only way to stay relevant and ahead of your contemporaries is to constantly improve what you have to offer. As an established hospitality professional, one of your biggest opportunities for growth is to start building your public profile and media presence. Get online – With YouTube, Facebook, Twitter, Instagram, etc. 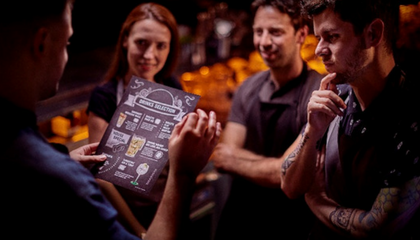 you can start to share your skills with a much greater audience than simply the people that walk in to your bar. By developing a strong following, you become incredibly attractive to potential employers (they all want to be able to feature a ‘celebrity’ mixologist) or to potential backers if you are looking to open your own bar. Enter competitions – Having a competition victory on your CV can transform your appeal overnight. Whether you win or not, getting yourself on the competition scene will start to put you in front of a much larger audience. 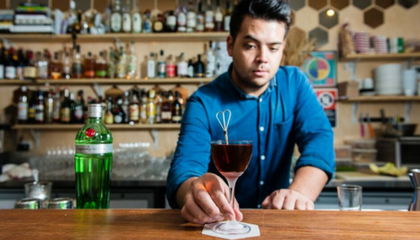 Your name will become recognisable on the global cocktail circuit and it will give you the chance to develop your skills by learning from the very best in the business. Improve your communication skills – The ability to communicate effectively with customers, colleagues and contemporaries will do more to establish you as a highly sought-after and desirable bartender than any other skill. We invest very little time in to the development of our communication skills and yet they are without doubt the best opportunity for maximising our potential and achieving our goals. I am yet to meet a truly world-class bartender that isn’t also a strong communicator and great at connecting with people. 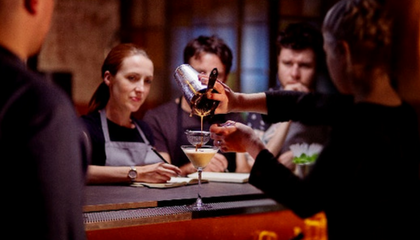 Looking for all the latest advice to kick start your career in the industry?Sign up to Diageo Bar Academy today for unlimited access! Looking to create an innovative serve while also speeding up service? Well creating barrel aged cocktails could be what you are looking for. We’ve travelled around the globe, to bring you the most innovative national classic cocktails, served up by some of the world’s top bartenders. 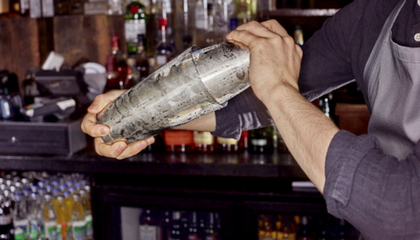 Mastering your shaking technique can be a great way to inject a bit of theatre into your cocktail making – guaranteed to wow your customers and enhance your serves. 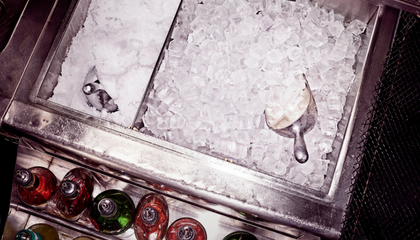 Whether it’s cubed, cracked or shaved, we reveal how your choice of ice can make or break your serves and show you how to add a little frozen flair.